I think it’s about time for a monthly photo roundup! I hope your Easter was amazing and I hope April is off to a great start! We spent a little time at the lake on Easter and this sunset blew me away! March was pretty much full of good food. Fried rice, sprinkles, hearty meat sauce and good coffee. I started a new book, too and it’s great so far! 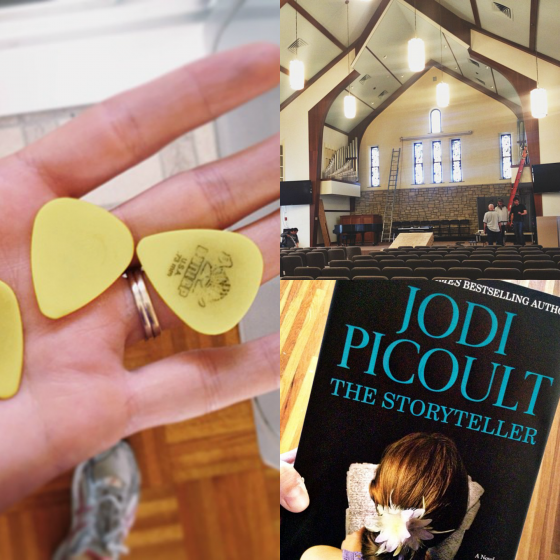 Jodi Picoult is one of my favorite authors. Have you read anything good lately? We (our church) celebrated Easter in a newly renovated sanctuary this weekend – it was truly amazing and exciting and beautiful! 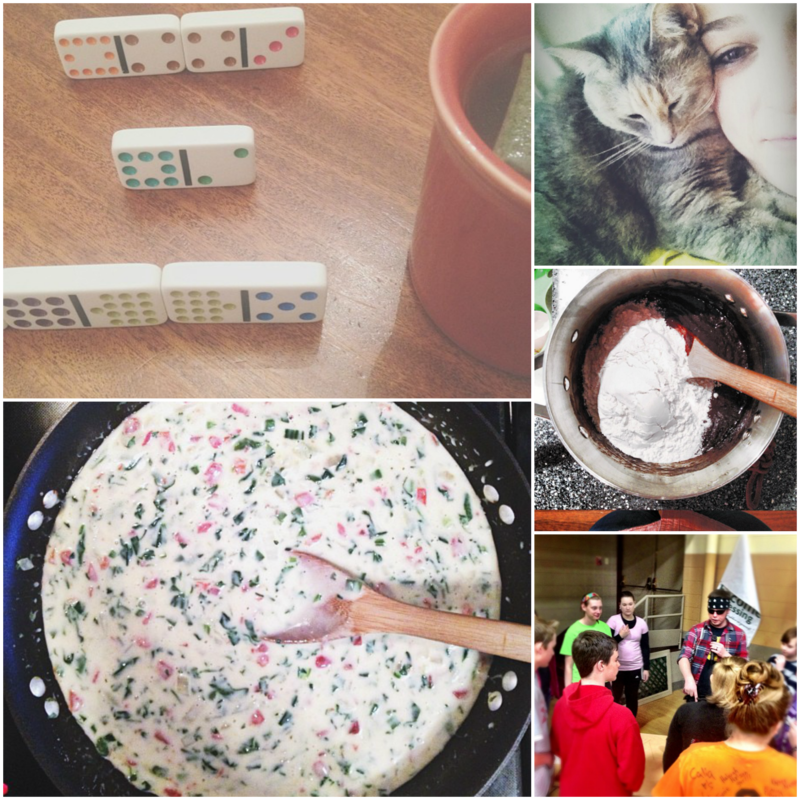 Also, queso (can’t get enough), salted fudge brownies, kitty cuddles, youth group and dominoes. What are you most looking forward to about April? Looks like it was a good month, love that sunset! 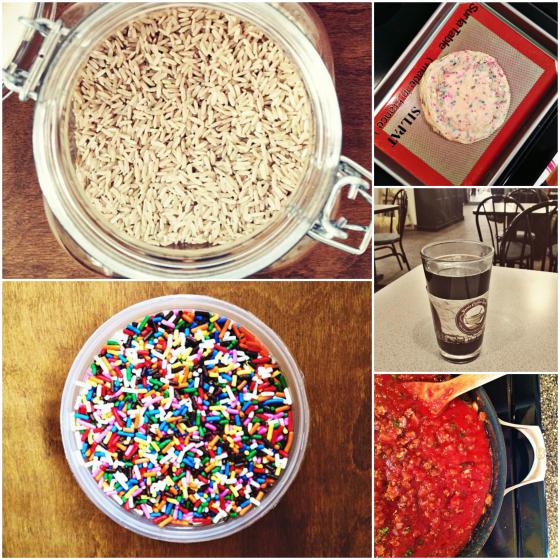 That large pot of queso must be mine… Great photos, Cassie! 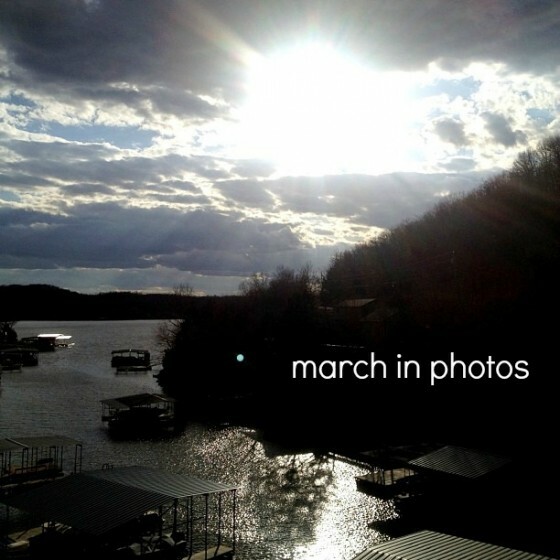 Beautiful pics, Cassie! Looks like March was a blasty-blast! And ditto on the queso, I need this ASAP! Such great photos Cassie….. Have a gorgeous day! Love the pictures…especially the kitty! I can’t wait for the warmer weather. Hopefully we will see more sunshine as April goes on! Man I wish I was with you in the lake photo! It looks beautiful! Sounds like you guys had an awesome Easter weekend! Love your photos! I am looking forward to 1 month of getting closer to graduation! Great photos, what a fun month!! I can’t believe April is here – my little guy turns 8 this month, crazy! March looks like it was enjoyable 🙂 went by too quickly!